From the 1st November, 2018 Berkeley Vale Neighbourhood with a number of it’s services moved in to join the Bateau Bay Neighbouhood Centre. 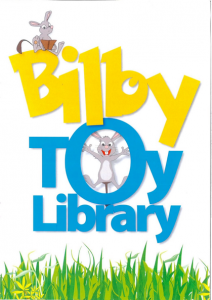 One of those services is the Bilby Toy Library. The toy library is like a book library but you borrow toys from a selection of active play, baby, construction, music, pretend play, puzzles etc. We also have a selection of children’s books. The library caters to families with children aged from baby to 5 years old. A great place for Grandparents to join so that when the family come to stay or you babysit you will have access to a range of toys that won’t clutter the house. Membership can be either 6 month or 12 months and there is a concession rate if you hold a Centrelink card. 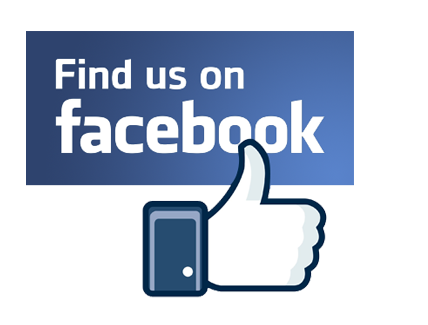 Click on the picture and you will open a new tab with information about the library. 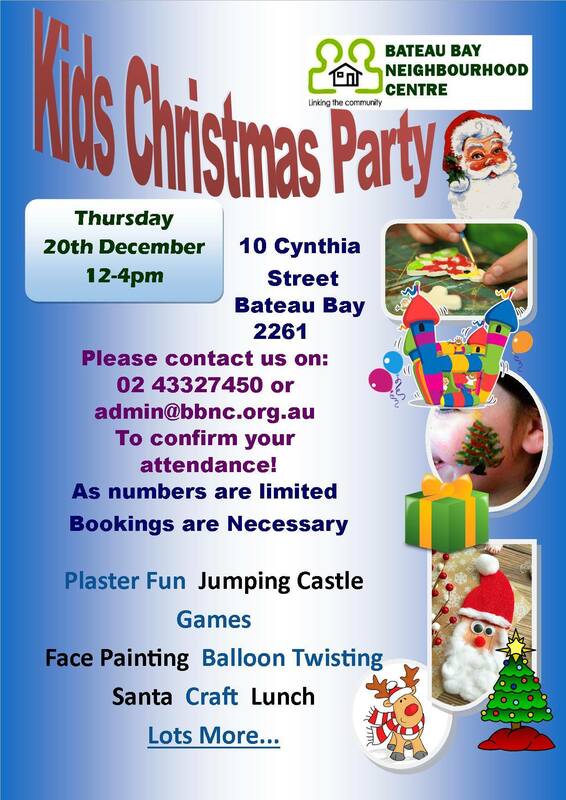 W e will be holding our annual Children’s Christmas Party on Thursday, 20th December and have organised a great day filled with fun. 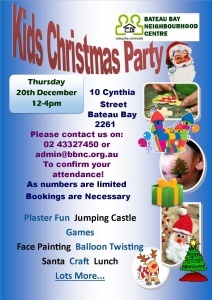 As we have had to limit the numbers attending on the day it is necessary to book your children in to attend.